Eleven House Republicans have sent a letter to Attorney General Jeff Sessions and FBI Director Christopher Wray officially referring Hillary Clinton, fired FBI Director James Comey, fired Deputy FBI Director Andrew McCabe and former Attorney General Loretta Lynch for criminal investigation. FBI agents Peter Strzok and Lisa Page, who were caught sending hundreds of anti-Trump text messages during the Clinton investigation, have also been referred for criminal investigation. U.S. Attorney John Huber, who was tapped by Sessions a few weeks ago to investigate the FBI's handling of the Clinton email probe, was copied on the request. 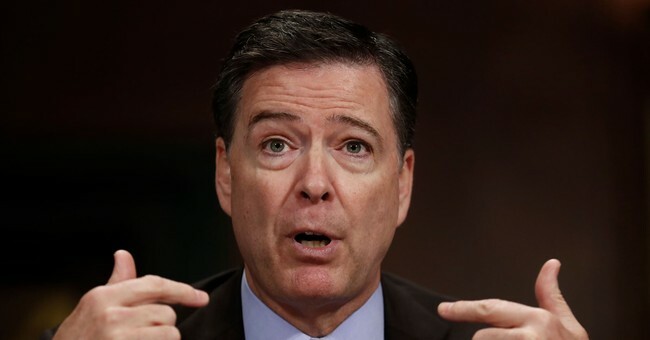 As the letter outlines, Comey is under fire for allegedly giving false testimony to Congress last summer about the FBI's criminal investigation into Hillary Clinton's repeated mishandling of classified information. Specifically, lawmakers cite Comey's decision to draft an exoneration memo of Clinton months before FBI agents were done with their work and before Clinton and key staffers were interviewed for the probe. They're also going after him for leaking classified information to a friend, which Comey admitted to under oath. "It would appear that former Director Comey leaked classified information when sharing these memos with Professor Richman. Accordingly, we refer James Comey to DOJ for potential violation(s) if: 18 USC 641, 18 USC 793, and 18USC 1924 (a)," the letter states. Former Attorney General Loretta Lynch is being referred for allegedly "threatening with reprisal the former FBI informant who tried to come forward in 2016 with insight into the Uranium One deal." "With regard to top counterintelligence FBI agent, Peter Strzok, and senior FBI lawyer Lisa Page, we raise concerns regarding their interference in the Hillary Clinton investigation regarding her use of a personal email server," the letter states. As far as Clinton's referral, lawmakers argue she should be held accountable for "disguising payments to Fusion GPS on mandatory disclosures to the Federal Election Commission." Republican Congressman Ron DeSantis, who signed the letter, spoke about the referrals during an interview with Fox and Friends Wednesday morning.